Last week I was chatting with my local liquor store guy because I was looking for a light wine for summer drinking. I wanted something that was almost like sparkling, but not sparkling. In his best Pittsburgh accent, the liquor dude recommended a Vinho Verde (aka VeeeNo V-AIR-dayh in Pittsburgh-ese). Liquor dude was right! He led me to the Broadbent Vinho Verde which was priced under $10. 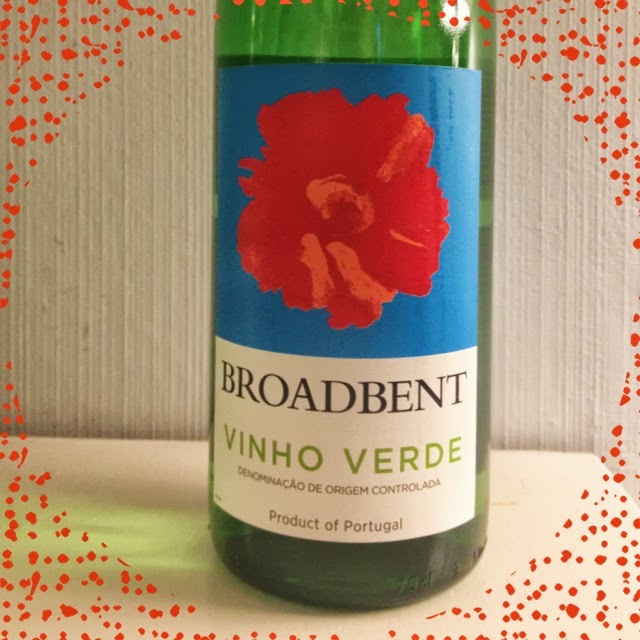 According to the website, this wine is made in Portugal and has won some nice media accolades like Food & Wine’s Top Ten Best Summer Wines and a top pick by Bon Appetit. The alcohol percent is 9 and its recommended food pairing is fish, shellfish and poultry. For those that took Spanish a decade ago, you may remember that “verde” translates to “green” and you may notice that the wine has a hint of lime color. If you tend to like Pinot Grigo or sparkling wine, this is totally up your alley if you are looking to try something new this summer!